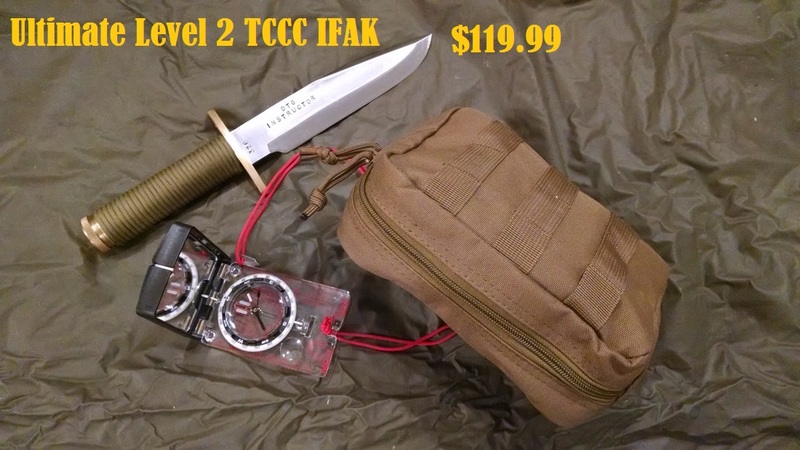 Designed for Military, Rescue Team, and Trained Individuals! Great Lake Survival, LLC. assumes no liability for the use or misuse of first aid products sold. It is the ultimate responsibility of the product user to get proper medical training prior to use. First aid products can also be dangerous if they are used by improperly trained individuals or if the products are used incorrectly. Be smart, get some first aid training! Our first aid kits are designed and built with regard to the latest TCCC guidelines. Beware of cheap knock offs that contain items you don't need, and fail to contain the items that you do. EDC Solutions has a great new product! The Compact Hemorrhage Control Kit is small enough to be carried just about everywhere AND it gives you the tools to handle massive bleeding of the extremities . For the law enforcement officer or concealed carry permit holder, this kit is a no-brainer – especially if you frequent high-threat urban areas. At approx. 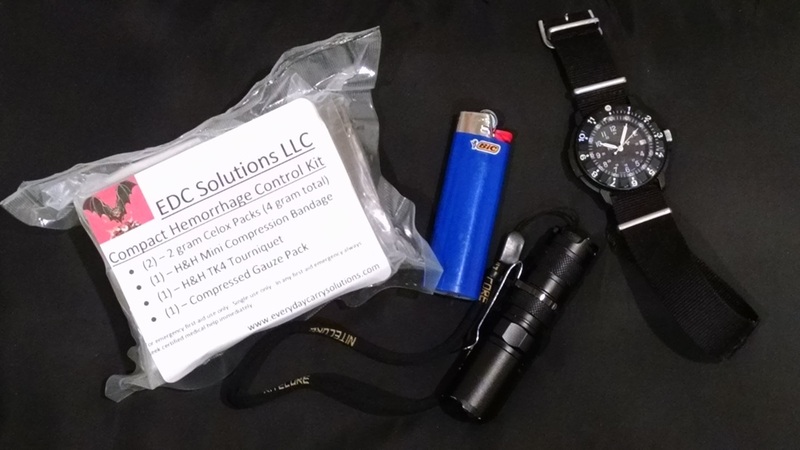 4.25” x 3.25” x 1.50” this kit is VERY easy to slip in a coat pocket and be prepared. Put one in your glove box or on your motorcycle. Going into the wilderness? Throw one of these in your pack or in your shirt pocket. 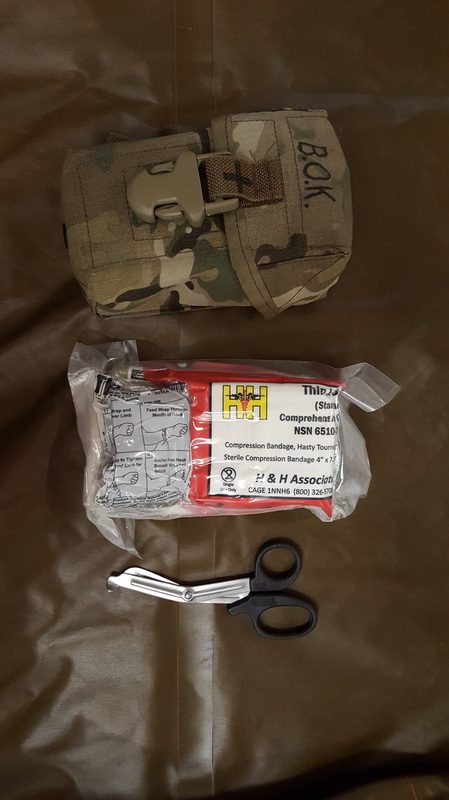 EDC Solutions – Professional Grade "Blow Out Kit"
Designed for those who are in harms way: The EDCS - "Blow Out Kit" was designed around TC3 (Tactical Combat Casualty Care) doctrine, to help brave individuals save lives, and "get back into the fight". 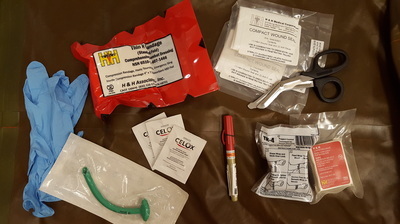 The "Blow Out" kit, is designed to treat the 3 most common and preventable causes of battlefield death: Tension Pneumothorax, Blocked Airway and Arterial Bleeding from an appendage. 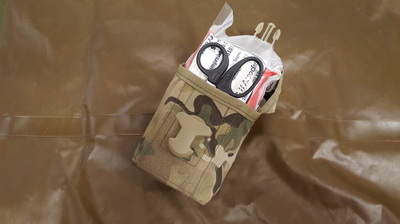 This kit comes vacuum sealed, ready to throw into an existing pouch (fits a double 7.62mm magazine pouch) or front shirt/coat pocket! 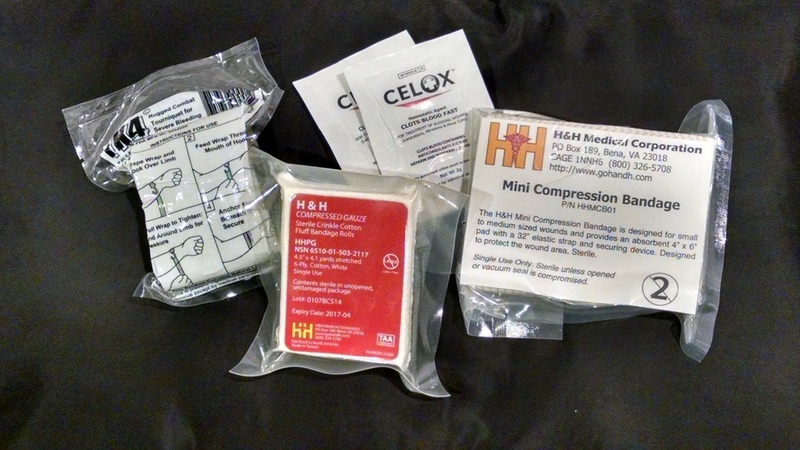 While you might have an expanded first aid kit on your pack, the "blow out kit" is the one you should have on your person, that won't weigh you down. 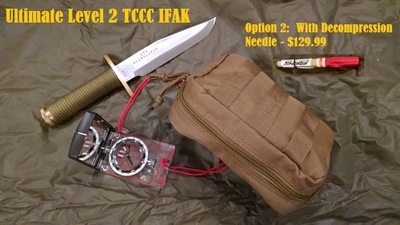 Very few kits are this compact, yet have all the TC3 critical items. 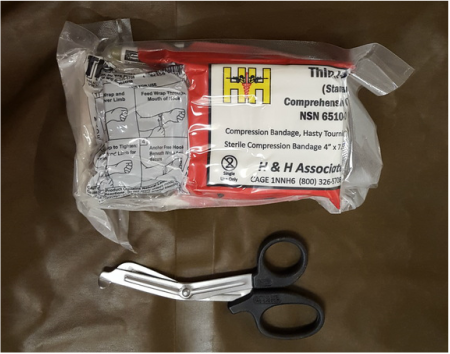 At GLSC, we've negotiated excellent cost savings with our suppliers to get the best NSN first aid products for our exclusive kits. Approx. 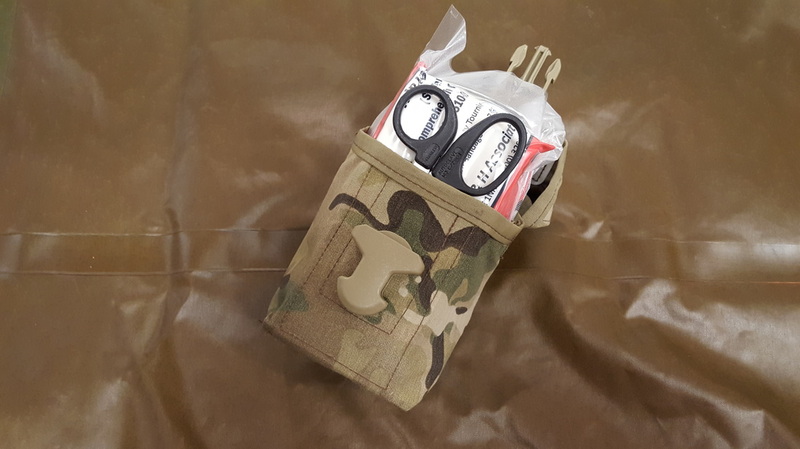 Size: 7.5" x 4" x 2.5"
Again, this kit packs right into a double 7.62mm magazine pouch (as pictured)! 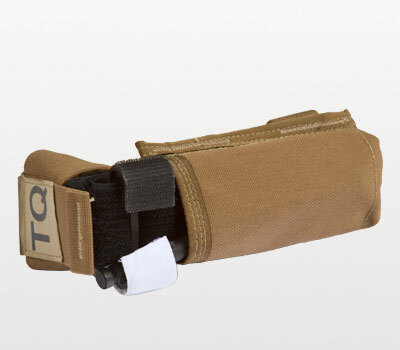 We also recommend that you have a C-A-T tourniquet and holder available on the outside of your gear. The Level 2 TC3 IFAK is the most combat ready kit we can find. 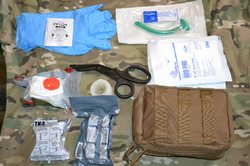 This kit was specifically designed for military, peace officers and trained citizens to use to treat simple wounds AND the 3 most preventable causes of battlefield death. 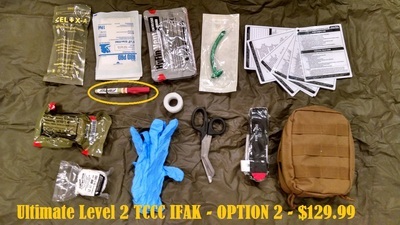 This kit was specifically built by Great Lake Survival to treat everything from simple lacerations to sucking chest wounds. 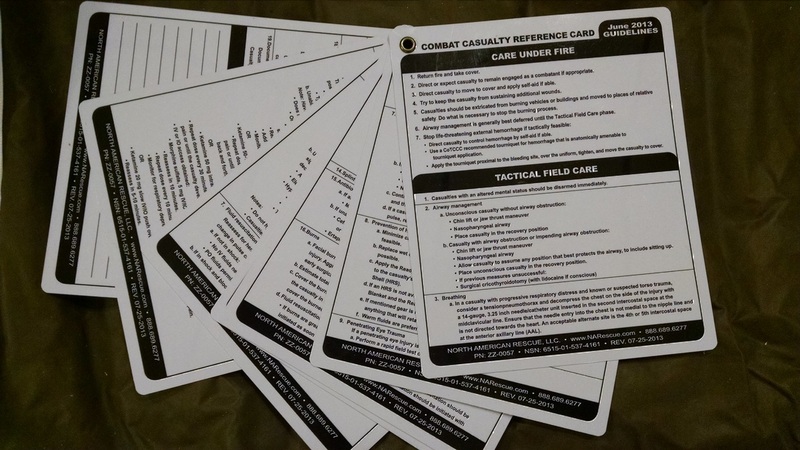 Very few kits sold out there today have all of the items you would need for Tactical Combat Casualty Care. This one does, and at the best price you can find on the web. 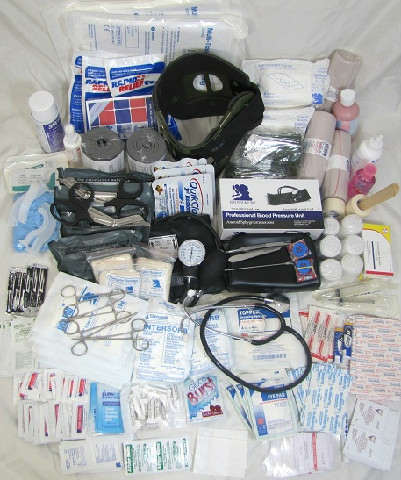 We negotiated excellent cost savings for our customers and have the finest NSN first aid products for our kits. You may not be in the military or law enforcement world, but that doesn't mean that you won't have peace of mind with an individual first aid kit like this! *Decompression Needle is sold to be used by professionally trained individuals or under the supervision of a medical professional only. Green, Coyote Tan Size 8"x6"x3.5"
The Level I Wilderness IFAK is the best all around kit we've found to date for the money. 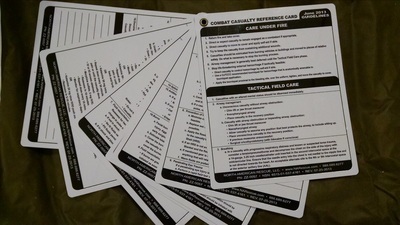 All contents are Mil-Spec. 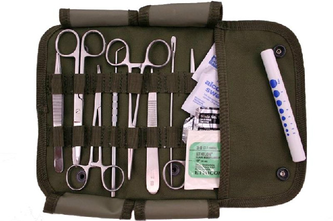 If there's a first aid kit that every American should have, it's this one. Not only can Soldiers and Peace Officers use this kit, but so can the average Citizen. 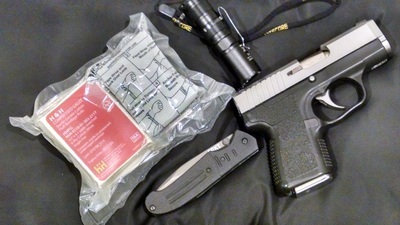 You never know when you'll wish you had this kit in a near by glove box, trunk or on your person in the wild. 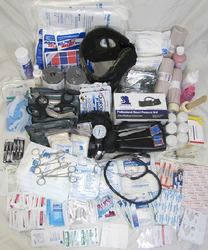 With many First Aid Kits out there, if you're not a Medic its hard to tell what you need. This one has the best essentials around. Make sure you have your bases covered and get the best value around today! Fully Stocked S.T.O.M.P. 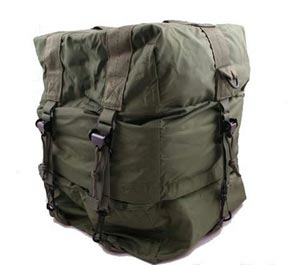 Medical Backpack - Free Shipping on this item! Great for Families and Individuals who like to go into Wild Places. The Stomp Medical Kit has a variety of contents and is used by professionals including medics and army personnel. The backpack is available in five colors, Olive Drab, black, coyote tan, ACU and red. 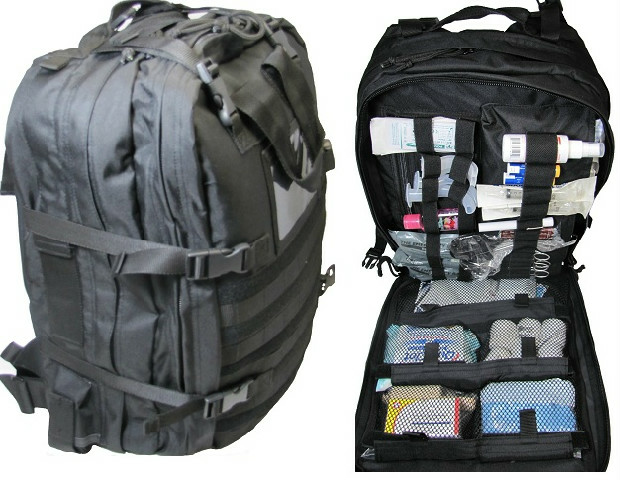 The bag contains many velcro and zippered compartments for easy access to over three hundred items inside. The FA110 measures 16''x10''x13.5'' and weights 12.25 lbs. 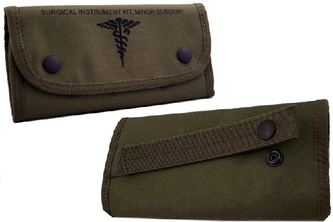 available in a codura nylon OD or black pouch, which has a M.O.L.L.E. strap.